Situated at the heart of the north-eastern region of Istria, Umag is the lovely maritime city and one of the beloved tourist destinations. It is the first city at the northern entrance of Istria. With pleasant Mediterranean climate, crystal clear sea, Blue Flag awarded beaches and safe harbors; Umag overwhelms with its charm, diversity and richness of tourist services. Umag is famous for the major tennis event taking place there every year; ATP Croatia Open. Held yearly in July, it is the peak of every tourist season in this part of Istria. The tournament takes place in the luxurious tennis complex Stella Maris and hosts some of the most prominent names of the world tennis. 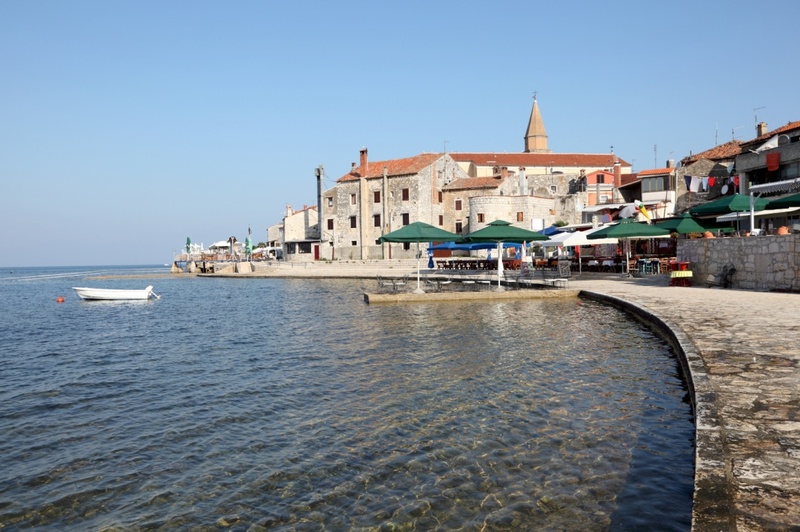 As most of the major tourist resorts in Istria, Umag has a diverse accommodation offer. You can choose among numerous hotels in the city area; the majority of them four star, with one five star resort, Melia Coral. There are several luxurious tourist settlements and a variety of private accommodations. Umag nurtures a long lasting tradition of camping and is proud of its modern camps, often considered to be the best in Croatia and awarded with numerous international certificates of quality (ADAC, ANWB). Apart from enjoying in the crystal depths of the purest blue sea on one of the beautiful local beaches, you can engage in numerous recreation activities: soccer, horseback riding, golfing, tennis. The area around Umag is popular among cycling lovers; there are several scenic routes inside of the city as well as in the surrounding areas. Umag has a rich history, with the oldest archaeological findings dating back to the prehistoric and ancient times. The Romans recognized the beauty of Umag and chose to build their summerhouses all over the wider city area. There are preserved remains of those buildings incorporated in the old city center along with gothic and renaissance architecture remnants. The rich gastronomic offer of the city is based on meat and fish specialties accompanied by wild asparagus and inevitable local delicacy, truffles. You can enjoy some of the most interesting culinary fusions in one of the numerous city restaurants. And if you wish to taste some of the traditional Istrian dishes, visit one of the local taverns and enjoy the amazing delicacies in rustic, but pleasant ambiance. Find information about selected Hotels, apartments and rooms in Umag to choose the perfect place for your accommodation.